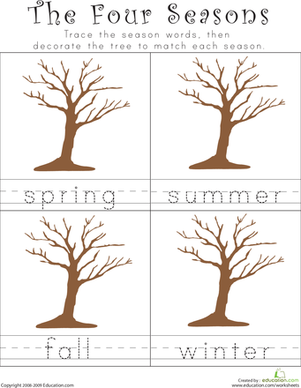 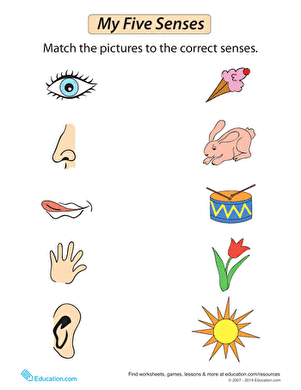 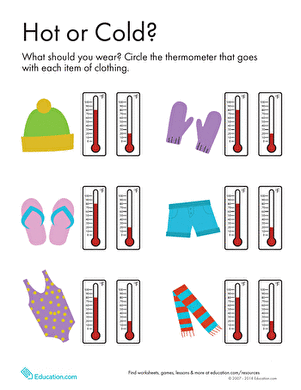 This what to wear weather worksheet challenges your child to match seasonal articles of clothing to the appropriate weather condition. 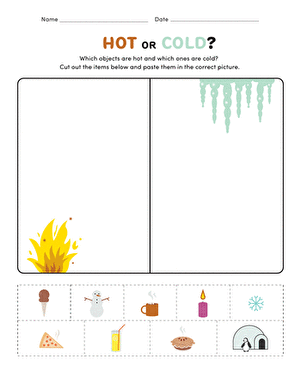 Children will draw lines from pictured clothing items, such as shorts, scarfs, and mittens, to snowy, sunny, or rainy scenes. 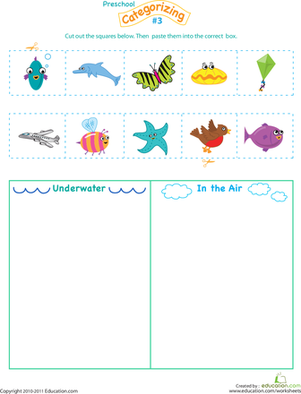 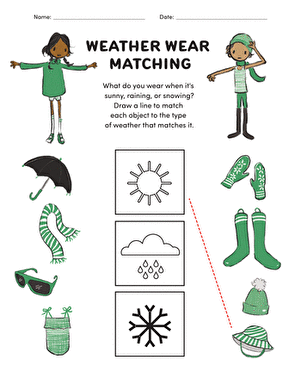 Encourage your child to learn how to dress in different weather conditions with this what to wear weather worksheet.